After Rangely we picked up Colorado 139 to Douglas Pass. After a few switchbacks we came to the top of the pass, where we saw a highway department garage with piles of sand behind it, a weather station, and rocks falling down a collapsing hillside. This is the view to the north of Douglas Pass. 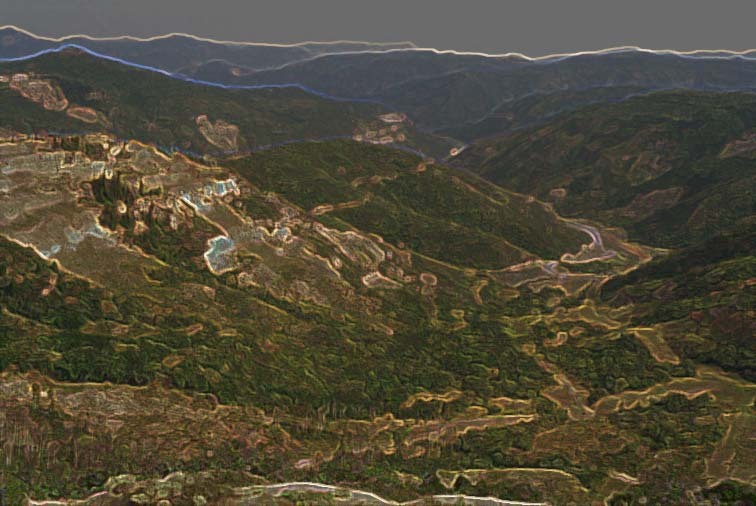 OK, it doesn't look exactly like this; I added some effects with Photoshop. Here is the unenhanced view to the north of Douglas Pass. 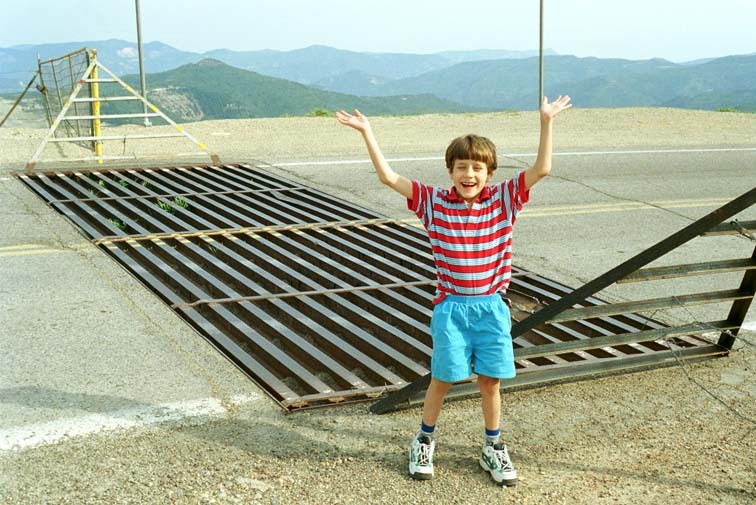 This is a cattle guard at the very top of Douglas Pass. 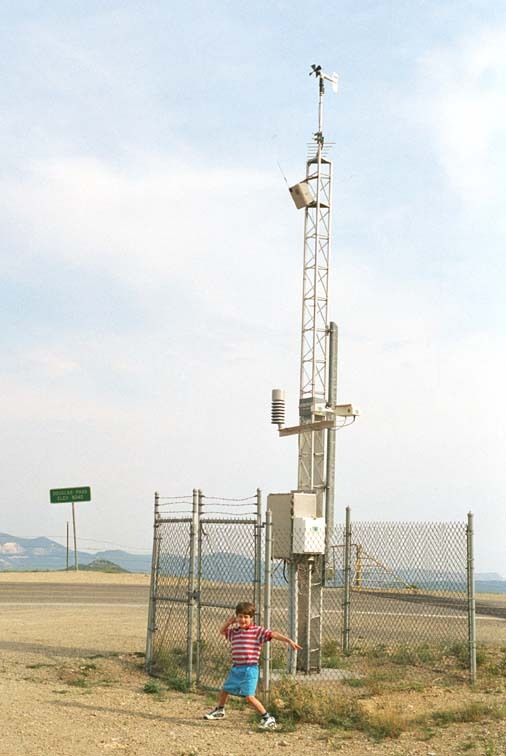 This weather station is just to the west of the road at Douglas Pass. Thomas found this fossil just north of the cattle guard. It had tumbled down from the crumbing slope above. 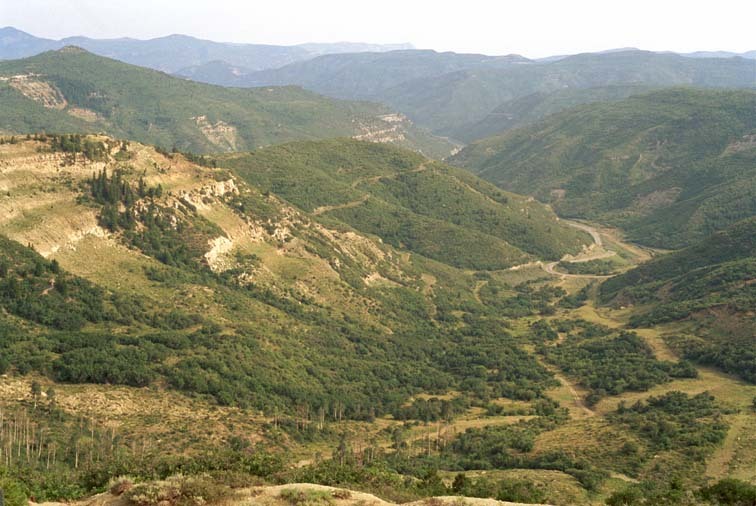 The National Audubon Society Field Guide for North American Fossils identifies the Douglas Pass area as Tec2, Eocene and Paleocene Continental, 37.5 to 65 million years ago. 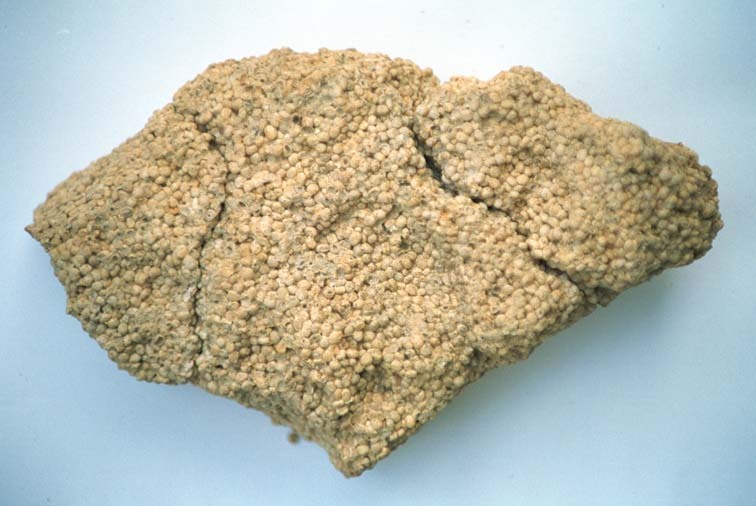 The rock is made up of spheroids 1.5 mm in diameter which are loosely attached in the specimen; it breaks apart easily. Two break lines are visible in this photograph. The closest match in National Audubon Society Field Guide for North American Fossils was for Cribrilaria, a small shellfish, Zooecia, Eocene to recent, plate 415, p. 621. 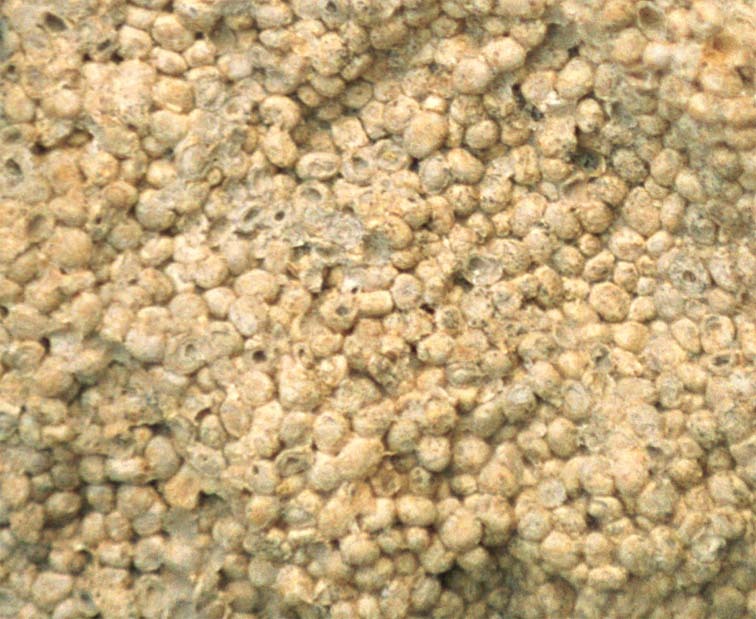 However, the spheroids do not exhibit spines. In this detail the spheroids look more like seeds. Each one is about 1.5 mm in diameter. Note the spheroid at the upper center with a yellow spheroid inside - it looks like the meat of a nut or seed.